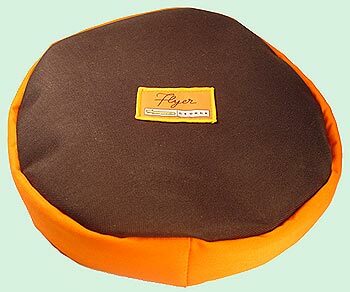 With all the aero-dynamic appeal of classic plastic frisbees, this soft cordura nylon flyer is easy on the mouth when caught in spectacular mid-air jumps and jetés. 11″ across. Choose lime or orange.